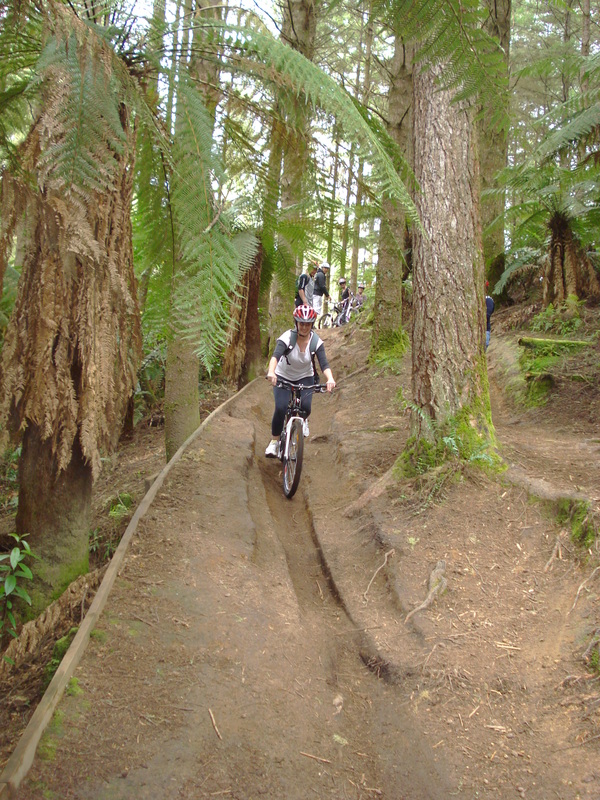 Two of my most memorable trips to New Zealand included cycling; one on the relaxing Otago Central Rail Trail outside Dunedin, the other on a hair-raising mountain bike trail through the Whakarewarewa Redwood Forest, Rotorua. 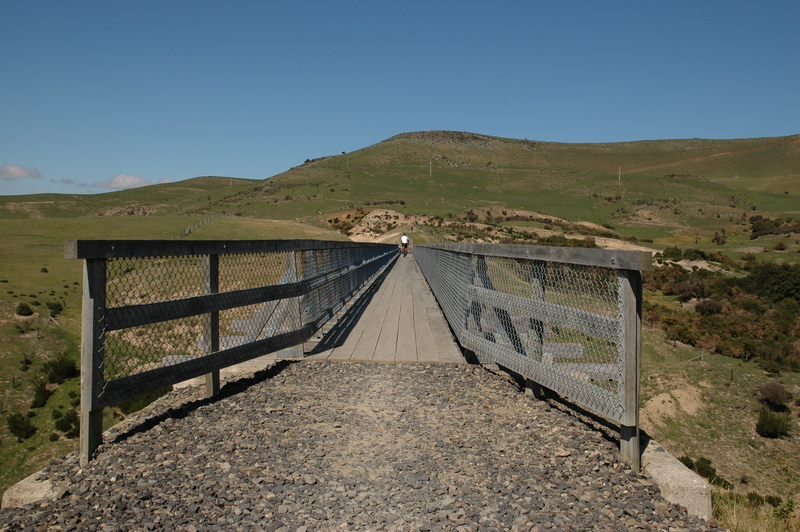 The Otago Central Rail Trail, which connects Clyde to Middlemarch following a 150km section of the former Otago Central Branch Railway, is regarded as easy and can be done in one to five days with multiple places to stop along the way to eat or stay. Together with my New Zealand girlfriend Karen, I did a one day sampler from Daisybank to the Hyde Memorial, accompanied by Neville Grubb of Trail Journeys, before he delivered us to Pukerangi to catch the stunningly scenic Taieri Gorge Railway back to Dunedin. Karen hadn’t cycled since childhood, and was understandably a little apprehensive, but the easy gradient track soon built her confidence. 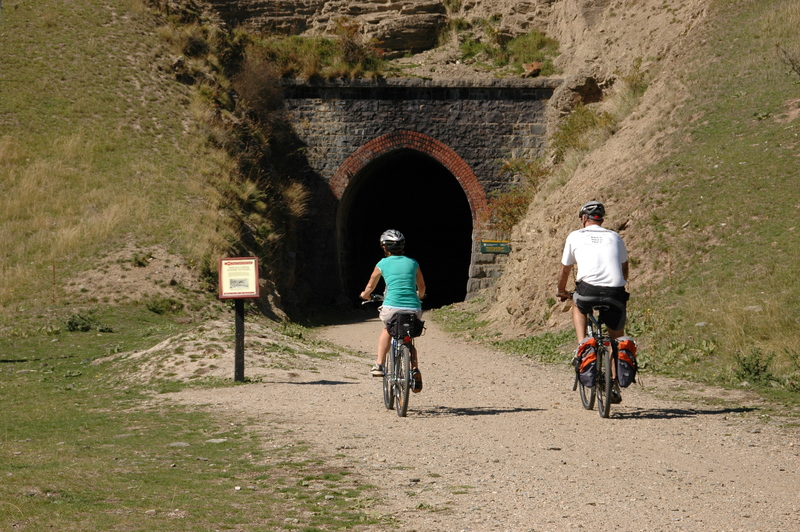 Our section of trail followed the willow-lined Taieri River, between rolling paddocks, across towering viaducts and through cool, dark tunnels. I was hooked and during lunch at the Hyde Hotel discussed coming back one day to do the whole trail. Feet parallel, bum up and leaning back I braved a muddy downhill jump (albeit only about half a metre) much to my own astonishment and the accolades of my buddies. The fact I didn’t do a ‘superwoman over the handlebars’ as Tak put it, was testament to his tutelage. So I was thrilled to learn more about The New Zealand Cycle Trail from newly-appointed Australian ambassador Megan Gale at a Tourism New Zealand media function recently. International model, businesswoman, TV personality and actress (her latest role is in Mad Max: Fury Road) Megan is a great fit for the ambassador’s role. Her mother is part Maori, so she has strong ties to New Zealand, she’s an avid cyclist and she loves active travel experiences. Not to mention she looks great on a bike. Megan sampled both the Otago Central Rail Trail and Rotorua’s Timber Trail for a series of promotional videos. Check out the stunning scenery in this video taken on The timber Trail near Rotorua. New Zealand is promoting its 2700km of cycle trails, hoping they will attract as many tourists as hiking and skiing does. 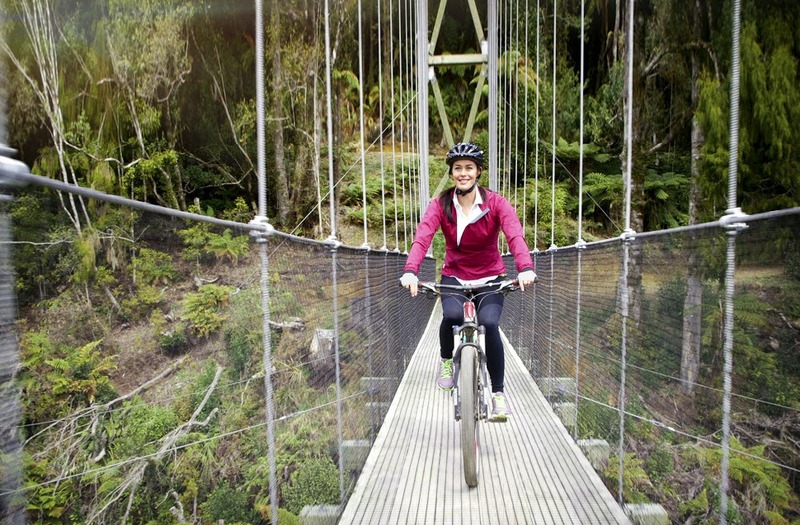 The 23 off-road tracks that make up The New Zealand Cycle Trail are dotted throughout the country, from the Bay of Islands in the north to Queenstown in the south. Graded from ‘Easiest’ to ‘Advanced’ it’s simple to choose a ride that meets your capabilities. But as I learnt in Rotorua, it can be exhilarating to push your limits too. Rides vary from one to six-days, and can be guided or done independently, and many operators offer snippets of trails, dropping you off and picking you up at designated points, so you can pedal as much or a little as you want, leaving plenty of time to sample the delicious food and wine and take in the history and culture along the routes. I can’t wait to get back to New Zealand and cycle some more trails. I’ll take Megan’s advice and pack some (padded) cycling pants. This entry was posted in adventure travel, New Zealand, Travel, Travel News & Events and tagged cycling, Megan Gale, mountain biking, New Zealand Cycling Trail, Otago Central Rail Trail, Rotorua, The Timber Trail. Bookmark the permalink. Good stuff Briar! I’ve also done a day on the Central Otago trail and loved it! Thanks Lee. Sounds like we’d both love to head back to our homeland and cycle some more tracks.